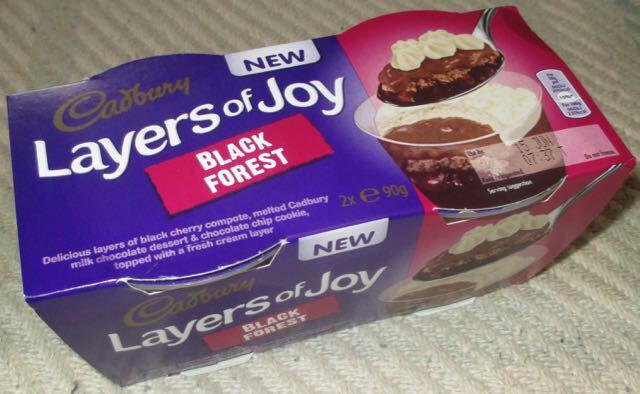 Perhaps it is my age, but there will always be a place in my heart for Black Forest Gateau. I grew up with it being the in thing in restaurants as a posh dessert, and well what can I say some trends stick. Yes there is nostalgia, but seriously what is not to like? Cherries, chocolate, cream all perfect together. This new dessert from Cadbury isn’t a gateau it is more a representational form of the cake, pretty much in trifle format. There is a cherry compote, layer of sponge, chocolate dessert sauce and cream on top. The sponge is that strange disc of sponge that you find in so many of the Cadbury desserts, not very thick, fairly firm and without much flavour. I have no complaint with these spongey discs, it is just that I can’t get excited about them either and they turn up in everything. 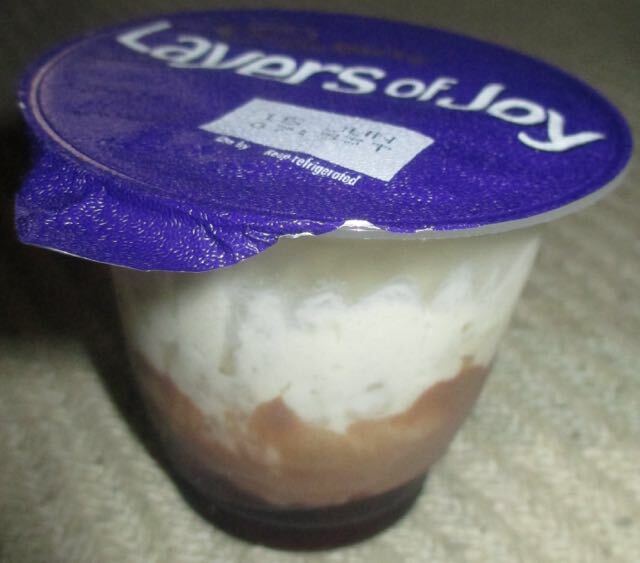 If you eat your pudding in layers (not just me?) then you get to a point where you can pretty much pluck the entire sponge disc up with a spoon and see it in its full unimpressive glory. Perhaps it is better if it is mixed in and not eaten whole! Stop judging me. I digress, and sponge disc aside, this did stir all that childhood nostalgia. The cream was lovely, the chocolate and the cherries a perfect match. The fruit was fairly sweet, and not too zingy but it felt like a nice quick treat after my dinner. Certainly one I’ll be buying again.